- The Quran urges us to be charitable to the poor and the impoverished (the poorest among the poor) and linked this type of charitable behavior to humane treatment of all people especially one's parents: "Worship God, and ascribe no partners to Him, and be good to the parents, and the relatives, and the orphans, and the poor, and the neighbor next door, and the distant neighbor, and the close associate, and the traveler, and your servants. God does not love the arrogant showoff." (4:36). Such categories of people do not have to be necessarily Muslims or believers in the Quran: they all deserve charity if they are poor. This is inferred from the general terms used in this Quranic verse. - The Quran urges us to give the poor part of inheritance money: "If the distribution is attended by the relatives, and the orphans, and the needy, give them something out of it, and speak to them kindly." (4:8), and obligatory share in zakat alms as well as charity money in general and spoils of defensive wars: "Charities are for the poor, and the destitute, and those who administer them, and for reconciling hearts, and for freeing slaves, and for those in debt, and in the path of God, and for the traveler in need-an obligation from God. God is All-Knowing, Most Wise." (9:60), "They ask you what they should give. Say, "Whatever charity you give is for the parents, and the relatives, and the orphans, and the poor, and the wayfarer. Whatever good you do, God is aware of it." (2:215), "If you give charity openly, that is good. But if you keep it secret, and give it to the needy in private, that is better for you. It will atone for some of your misdeeds. God is cognizant of what you do." (2:271), and "And know that whatever spoils you gain, to God belongs its fifth, and to the Messenger, and the relatives, and the orphans, and the poor, and to the wayfarer…" (8:41). - As for spoils, they are restored money to the State with and without defensive wars; all such money ought to be given to the poor: "Whatever God restored to His Messenger from the inhabitants of the villages belongs to God, and to the Messenger, and to the relatives, and to the orphans, and to the poor, and to the wayfarer; so that it may not circulate solely between the wealthy among you. Whatever the Messenger gives you, accept it; and whatever he forbids you, abstain from it. And fear God. God is severe in punishment." (59:7). - The aim here is to give away money to the poor, not to make money confined to the rich among a given society to monopolize and confiscate everything in terms of wealth and authority; hence the Quranic precise expression: "…so that it may not circulate solely between the wealthy among you…", because the poor will naturally spend to satisfy the needs of their families; they do not tend to accumulate wealth. Such spending and consumption is useful to factories, shops, and farms of the wealthy. This financial cycle is beneficial to the poor and the rich as well as workers and employees. But if the rich grow stingier and the poor are on the brink of famine, no consumption or spending takes place; means of production stops; unemployment spread; and the number of the impoverished ones increases. The State money and revenues (of the Suez Canal and customs, for instance) should be distributed to the needy. Thus, the production wheel will go on moving. - In the times of Prophet Muhammad, most of the rich ones in Yathreb city were among the hypocrites; the Quran admonishes Muhammad against admiring their wealth and progeny: "Let neither their possessions nor their children impress you. God intends to torment them through them in this worldly life, and that their souls depart while they are disbelievers." (9:55), "Do not let their possessions and their children impress you. God desires to torment them through them in this world, and their souls expire while they are disbelievers." (9:85). Such affluent hypocrites used to covet getting spoils from Prophet Muhammad: "And among them are those who criticize you in regard to charities. If they are given some of it, they become pleased; but if they are not given any, they grow resentful. If only they were content with what God and His Messenger have given them, and said, "God is sufficient for us; God will give us of His bounty, and so will His Messenger; to God we eagerly turn." Charities are for the poor, and the destitute, and those who administer them, and for reconciling hearts, and for freeing slaves, and for those in debt, and in the path of God, and for the traveler in need-an obligation from God. God is All-Knowing, Most Wise." (9:58-60). Hence, 59:7 gets deeper meaning to all of us. Such affluent hypocrites ought to have had been satisfied by their share of spoils if they deserved it, not to covet more shares that shortens the the ones dedicated to the poor. The following two verses define those deserving spoils: "To the poor refugees who were driven out of their homes and their possessions, as they sought the favor of God and His approval, and came to the aid of God and His Messenger. These are the sincere. And those who, before them, had settled in the homeland, and had accepted faith. They love those who emigrated to them, and find no hesitation in their hearts in helping them. They give them priority over themselves, even if they themselves are needy. Whoever is protected from his natural greed-it is they who are the successful." (59:8-9). Hence, the poor deserved such money because they had immigrated for the sake of God and other poor cared and provided for them in Yathreb. Hypocrite affluent ones had no right to claim more shares. - Islam cares for the weak; hence, they were among the first followers and believers at the time. The affluent ones in Mecca and Yathreb at the time conspired against the new converts to Islam to keep their social rank, wealth stature and power, and class distinction; thus, they denied the Quranic discourse: "Is it this discourse that you take so lightly? And you make it your livelihood to deny it?" (56:81-82). Such conditions of justice to the poor did not go on; once Prophet Muhammad died, Arabs invaded neighboring vast lands whose wealth and countless money became theirs. Their greed and enjoyment of ill-gotten money (coming from aggression and theft and killings), when the Arabs of Arabia invaded the Levant, Egypt, Iraq, and Persia, led the Arabs to fight one another in a civil war that began with the assassination of the caliph Othman Ibn Affan. Among the famous ones in such civil strife were Al-Zubeir Ibn Al-Awam, Talha Ibn Obeidallah, and Amr Ibn Al-As. From old history books that were written centuries ago, we knew that each one of them owned immense wealth that was beyond measure. They were deified later on by Sunnites! Ibn Saad, the historian, mentions in his tome called "Al-Tabaqat" (The Levels) that Al-Zubeir Ibn Al-Awam died leaving behind about 52 millions of Dinars in the shape of possessions and gold and 35 millions of Dinars in fluid cash as well as 200.000 Dinars inside his house, not to mention huge buildings in Alexandria (in Egypt), as well as in Basra and other cities (in Iraq), and in Yathreb. As for Talha Ibn Obeidallah, we read that he left behind his gold ring with the big red ruby and 2.2 millions of Dirhams in fluid cash as well as 30 millions of Dirhams and about more than 100 quintals of gold pieces. Amr Ibn Al-As, who conquered Egypt on behalf of the Omar Ibn Al-Khattab, used to rob the defeated Egyptians. Upon his death, he left behind 70 quintals of Dinars in gold! This is written in(the ancient historian) Al-Maqrizi book titled "Al-Khitat" (The Plans or The Maps). We should not be at all surprised to know that such people are the leaders of the civil war for venal motives and for unquenchable greed for more money. Masrooq Al-Zahid (the hermit) said about such people: "This worldly life, they ate it and destroyed it; they wore it and led it to be worn out; they controlled it and it controlled them totally; they killed one another and shed blood, violating every law, forsaking their family and relatives!" Because of such historical characters and their likes, tens of thousands of Arabs were killed in so many battles. - Such men forgot the share of the poor in their money; if they used to give alms and charity, they would not have stored huge sums and such immeasurable wealth that they had to leave upon their deaths. - Such men ignored totally the Quranic orders in 59:7. When the affluent controls and monopolizes all wealth, power, and authority, the vast majority of citizens suffer poverty and want. Islam intends to save the poor from the unjust rich. The contrary happened when Arabs conquered and inhabited the Levant, Egypt, Iraq, and Persia 14 centuries ago. The new rulers/leaders possessed immeasurable wealth from invaded countries and never got busy by reform and care for the nations of such countries. On the contrary, such nations were treated harshly and in an unjust manner by the Umayyads later on and forced to pay more taxes and tolls even after their conversion to Islam! It is more saddening and astonishing that such infamous leaders of civil strife mentioned above used to live in the Yathreb city-state of Prophet Muhammad and used to see how care for the poor was done as per 59:9. They ignored the Quran in purpose for the glory of the transient world. In the history book of Ibn Saad, we read that some Muslims used to remember such Golden age in Yathreb and weep in tears due to the painful contrast: one of them used to say: "When we immigrated to Yathreb for the sake of God, and His reward, though some of us died poor without finding a shroud to cover his corpse! I have been penniless at the time in Yathreb. Now I own 40 thousand of Dinars… I fear I might lose the true reward in Heaven and its being replaced with worldly possessions!" These words are ascribed to a man called Khabab Ibn Arth. - The safety valve in any given society is giving the poor their due share of wealth. If the affluent rich do not give the poor their rights, they are digging their own graves like those ancient ancestors of the Arabs after the death of Prophet Muhammad. Countless rich men and women in our age need to learn this useful lesson drawn from the history of early Arabs, who claimed to be Muslims. * About 25 years have passed since the first publishing of this article; the gap between the poor and the rich has widened more than ever before. The rich grow filthily richer; the millionaires have become billionaires. While the rich few citizens are becoming more affluent, millions who used to belong to the middle class have grown poorer in Egypt; likewise, millions of the poor have become more impoverished (the poorest among the poor). The gap has turned into an abyss between the affluent and the needy; prices are soaring, and so are unemployment rates. Prices are never lowered nowadays. We perceive that the future of Egypt is dismal and worrying; terrible predictions have led so many people to fear the rise of a revolt of the hungry that might destroy everything. * We remember here God's destruction of towns/villages because of their unjust affluent, indecent inhabitants: "And spend in the cause of God, and do not throw yourselves with your own hands into ruin, and be charitable. God loves the charitable." (2:195). Here we find that spending benevolently is on one hand against the evil way of ruin. Egyptian affluent billionaires should get warned by the Quran; if they do not believe in it, let them take heed from past, recent, and current contemporary history being made now: the fall of corrupt regimes followed by civil strife in many neighboring Arab nations. * We say to Egyptian affluent billionaires that however huge are the amount of their smuggled sums of money, such sums will never compensate for one's country where one has lived during childhood, youth, and adulthood along with one's relatives, family, associates, and friends. The West countries hotels and parks and entertainment localities will never replace the pleasure of sitting with one's close friends in a location overlooking the Nile or in a local café in Cairo. There are things and memories that are priceless and invaluable, sticking forever in one's brain. The worst thing ever is having to spend your old age away from home; away from Egypt that you, affluent rich ones, have participated in its ruin and destruction. 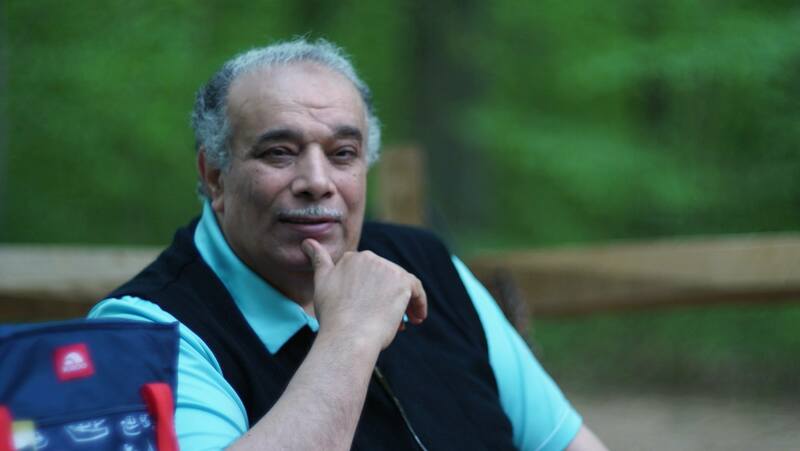 * Poor peaceful reformists like ourselves, Dr. Ahmed Subhy Mansour, were forced to immigrate and leave their homelands forever. Their homeland people have denied, disowned, and forgotten them! But what is the excuse of the affluent rich ones who robbed the wealth of Egypt and fled to the West countries? !